The Luthier India model is quickly distinguished by the wonderful Indian Rosewood selected for the sides and back of this instrument. A wood of first quality selected meticulously and with more than 30 years of antiquity. In fact, the wood used for the sides and back is the characteristic that gives name to this interesting model of an exclusive and limited edition, at the same time that it provides exceptional sound qualities. High quality red cedar has been used for the top, with a gloss finish using Nitro Lacquer or French polish. 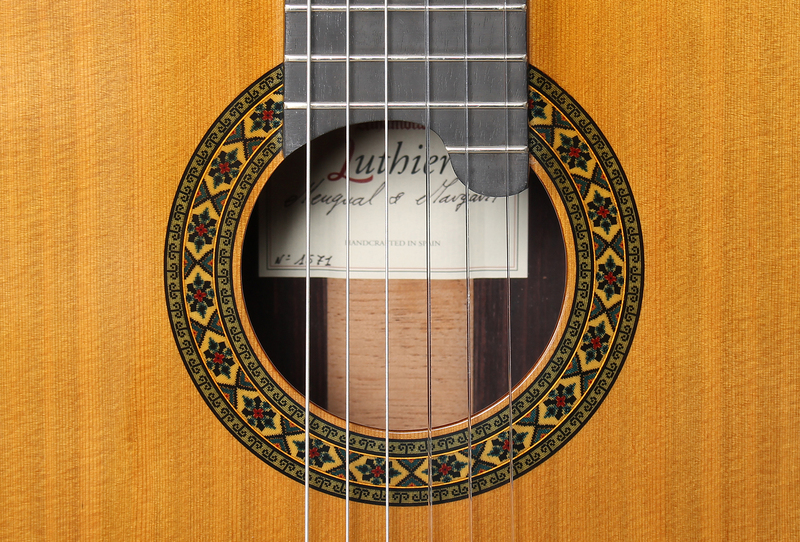 In the Luthier India model, it is possible to choose French polish for the whole instrument. 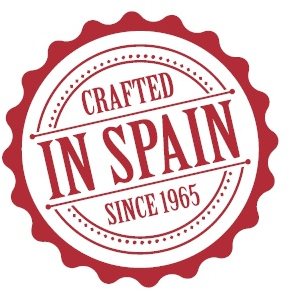 A type of natural varnish produced by an insect called "coccus lacquer" that provides a high quality finish. In addition, this varnish generates a thinner layer than the rest of synthetic varnishes, which contributes to improving the sonorous characteristics. 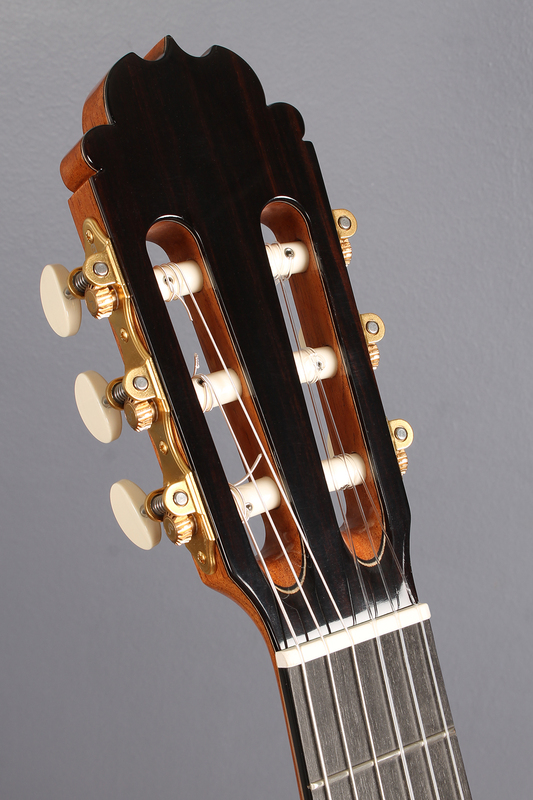 In the Luthier India model, the sonority has been developed in a special way, obtaining a powerful sound, with deep bass and bright trebles all in superb balance. Alhambra Guitars has given one more step in the development of new models, where comfort, robustness and at the same time lightness and good touch stand out. Some characteristics that together make possible a guitar with a high quality sound. 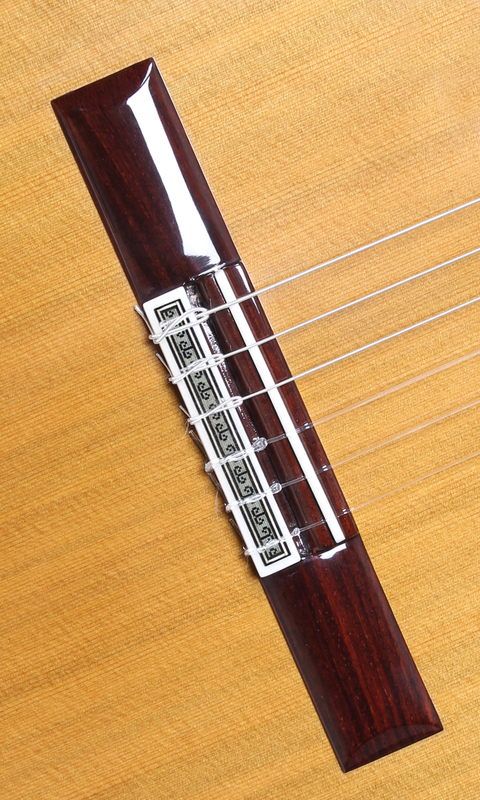 When you hold the Luthier India model in your hands you can immediately perceive its incredible characteristics, a 20 fret fingerboard with a neck that provides exceptional comfort to offer maximum ease in the performance. 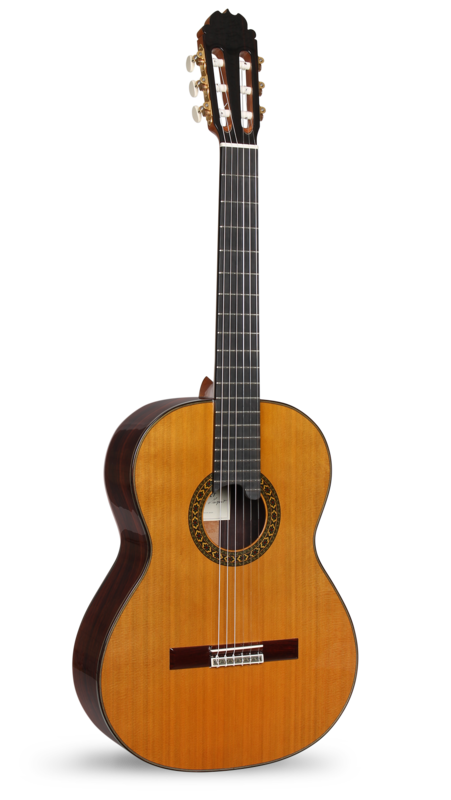 The Luthier India model is a great choice to perform in a room with a solvent instrument and meets the requirements of the interpreter. The haunting Cedar smell of a good guitar is the first thing hitting you as you take it out of the case. 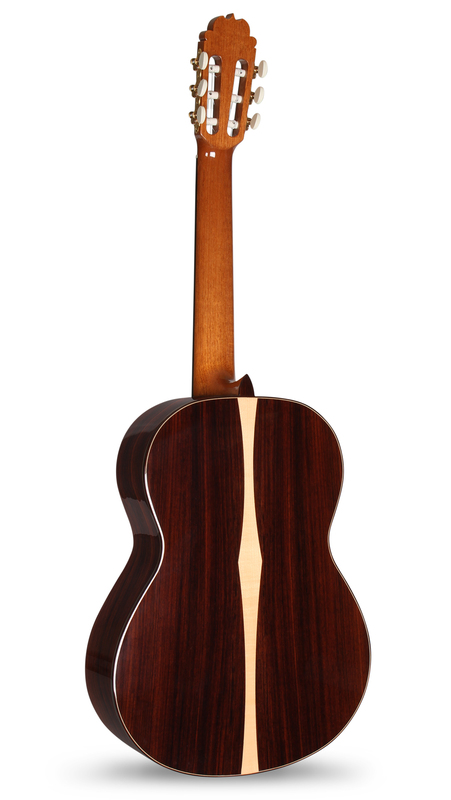 Red Western Cedar Top with very thight and thin grain is combined to a High-Grade Solid Indian Rosewood. Workmanship is to the highest standards – this can be instantly detected even with a quick glance at the detailing, particularly in the purfling and rosette. This guitar is a piece of art… has a sound with a personality. The soft, warm beauty of the woods is emphasized by a light nitrocellulose lacquer finish, extremely light but way durable.